Information for visa application can be found at www.mha.nic.in/fore.htm. Visa forms may be downloaded from www.india-visa.com. Further details can be obtained from your nearest Indian visa authorities which are listed at http://goidirectory.nic.in/missions.htm. Foreign visitors entering India must have a passport valid for at least 6 months after their date of entry in India, except the nationals of Bhutan and Nepal who need only carry suitable means of identification. 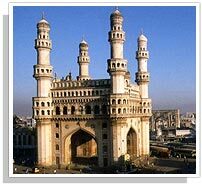 Conference delegates shall apply to the above mentioned Indian visa authorities for getting an Indian visa. Delegates traveling on Tourist Visas are also permitted to attend IJCNLP-08. We are pleased to announce that Local Organizing Committee (LOC) is continuously in touch with Ministry of External Affairs, Ministry of Human Resources Development and Ministry of Home Affairs for getting approval to hold this conference in India. Participants may like to use the above two references if VISA application form demands. You may need the MRHD Clearance certifcate for applying Indian visa. 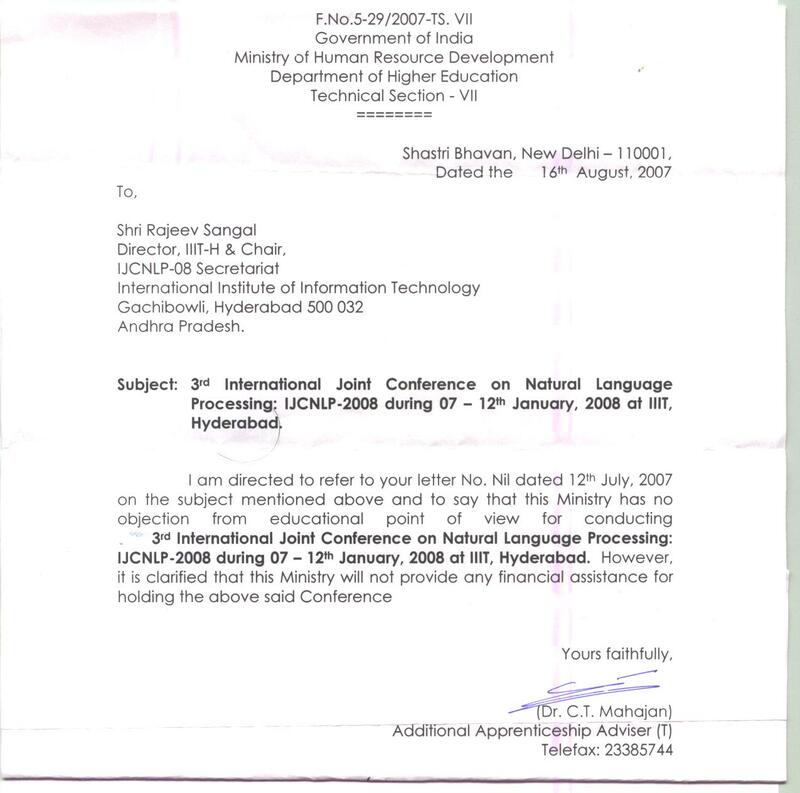 Click to download the image of MRHD Clearance certificate for IJCNLP 2008.